Live edge oak bar made from a tree taken down in St. Petersburg. 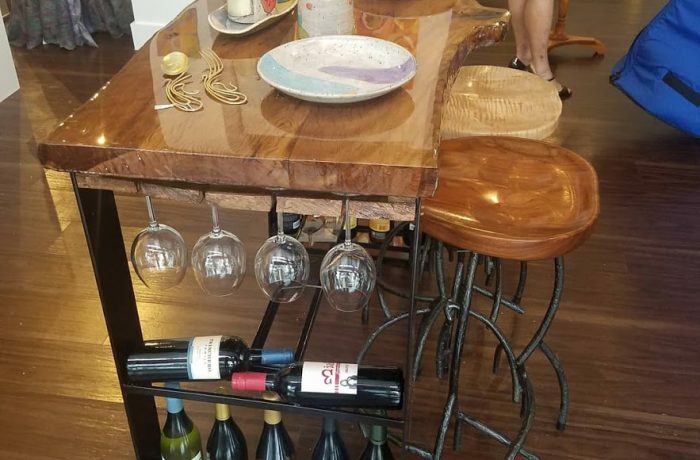 The legs are steel and incorporate a wine rack that holds up to 20 bottles plus room to hang 8 wine glasses. Finished with epoxy resin the bar is accessible from both sides and stands alone.